Ten explorers, our boat, one Grand Canyon. 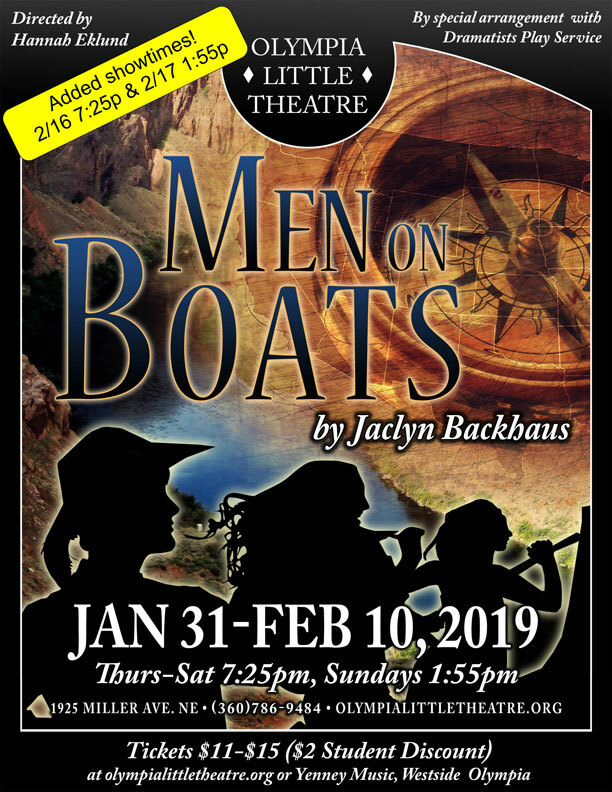 Men on Boats is the true(ish) history of an 1869 expedition, when a one-armed captain and a crew of insane, yet loyal, volunteers set out to chart the course of the Colorado River. These explorers hail from the United States of the mid-19th century, when assertive, unquestioning masculinity was something that stood tall and unchallenged. But, just so you know, there won’t be a man in the 10-member cast of Men on Boats, Gender being as much matter of perception as of chromosomes. WE HAVE ADDED PERFORMANCE ON 2/15, 2/16 & 2/17 DUE TO THE WEATHER.